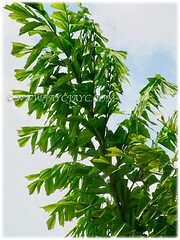 The Clustered Fishtail Palm is a very unique-looking palm with bipinnate leaves that are shaped like the fish’s tail. A charming Burmese Fishtail Palm that will be excellent as a specimen tree to landscape one’s garden, patio, deck and even as a potted houseplant indoors. Botanical Name: Caryota mitis (syn. 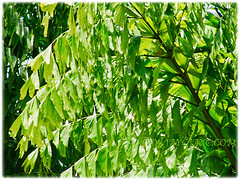 : Caryota speciosa, Caryota javanica, Caryota nana). 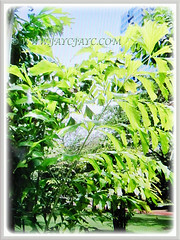 Common Names: Clustered Fishtail Palm, Tufted Fishtail Palm, Burmese Fishtail Palm. Etymology: The genus Carlota comes from the Greek word caryon, meaning a nut. The specific epithet mitis means unarmed, referring to its physical presence of an unarmed palm. Origin: Native to Southeast Asia from India, Thailand, Malaysia, Singapore and Indonesia, as well as southern China. It is widely cultivated elsewhere around the world. 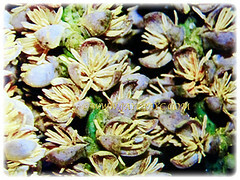 Features: Caryota mitis is from the genus Caryota that consists of about 13 accepted species of flowering plants. A clumping and medium-sized palm with clustered stems and can grow up to 10 m tall. A shrubby palm with many suckering trunks that are green and slender. They have distinct rings at wide intervals with the crownshaft absent. Each 8-20 cm diameter slender stem can support a crowded mass of attractive, closely-placed and feathery fronds. The bipinnate fronds, ascending to spreading, 1.3-3 m long. It has 5-12 fronds per stem. 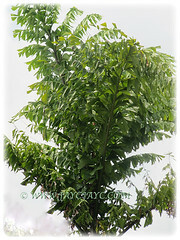 Leaflets are flat, about 10-18 cm long, triangular with a jagged leaf tip and a fan-like terminal leaflet. 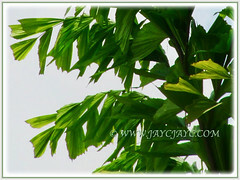 The light green bipinnate leaflets, measuring up to 3 m long are uniquely shaped like a fish’s tail, hence one of the common names, Fishtail Palm. The petiolate leaves are borne along upper half of stem. The spirally-arranged and densely-massed inflorescences are borne among or below leaves, between 30-85 cm long. Male flowers are up to 10 mm while female flowers are up to 5 mm and purple in colour. 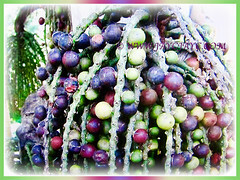 The small 1-2 cm globular fruits are first green and ripening to reddish-orange or purplish-black. It has a unique flowering habit where the mature plants first begin flowering at the top of the stem. Subsequent flowering proceeds lower and lower down the stem. After the last flowering, the stem dies and should be removed. However, the clump will survive and continue to produce more stems. The fruit contains crystal oxalate which will irritate the eyes and skin. 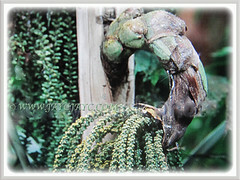 Culture (Care): Caryota mitis or Clustered Fishtail Palm can be grown easily with least maintenance. Light: Full sun to semi-shade and even in shady locations. Moisture: Medium water requirement. It benefits from a high humid environment. Soil: Fertile, loamy, moist and well-drained soils. It has a low salt tolerance. Others: No pruning required. However, do remove withered fronds to keep it tidy and aesthetically pleasing. When the palm is ready to flower, it begins its flowering process from the top of the stem and continues progressively until the end of the stem. Once the lowest leaf node bears an inflorescence, the stem will die off and be taken over by the side suckers. The stem should be removed once it dies off. Avoid contact with the inedible red fruit as it contains the oxalic acid which is toxic when ingested and contact with skin may result in severe chemical burns. Wear gloves to protect hands when handling seeds if necessary. Generally, free from serious diseases and pests. However, watch out for scale insects and glasshouse red spider mites. Caryota mitis or Clustered Fishtail Palm does well only in the warmest parts of Zone 9. It is not hardy but will tolerate light frosts. This beauty will grow in nearly any frost-free climate from warm temperate to tropical. Since it is shallow-rooted, the palm should be planted in a location protected from wind. Grow under glass in a loam-based potting compost in bright filtered light with high humidity. When in growth water moderately and apply a balanced liquid fertiliser monthly. Water sparingly in winter. It can be propagated by seed sown in spring at 27°C. Propagation: Easily propagated from seeds that take about 4-6 months to germinate. Alternatively, it can be done by division of clumps or separation of suckers from the parent clump. 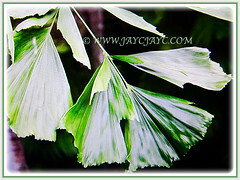 Usage: Caryota mitis or Burmese Fishtail Palm will be an excellent garden palm with its beautiful and unusual leaflets that give a different texture to its surrounding. An ornamental palm that is most suited to be planted as a specimen tree in public parks and gardens. It is popularly used as hedging or planted along borders due to its low and dense crown. This charming Fishtail palm is ideal to be grown in containers, outdoors or as a potted houseplant indoors. 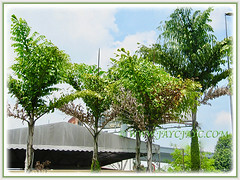 It tolerates heavy shade and is often used as interior plantings in commercial buildings. Its trunk contains starch that can be used to make sago. In India, an edible starch is extracted from the stem, and the palm heart eaten. Like other palms, it is also tapped for sap which is made into palm sugar or fermented to make toddy. In India, the leaves are used for thatching or woven into household items, the fibres from the leaf sheath are made into rope, and seeds made into beads. Besides, it is a magnet to attract birds.